Would you like more energy – but without the stimulants that can make you edgy? 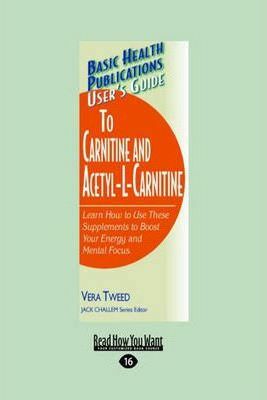 Consider taking supplements of carnitine or acetyl-L-carnitine, two forms of the same nutrient found naturally in protein. By boosting the activity of the body’s cellular furnaces, carnitine can energize the heart, brain, and muscles, and get them to do more. This supplement has also been found to be helpful in treating many health conditions, including heart failure, muscle weakness, and failing memory. It’s also often used by athletes to enhance physical training.